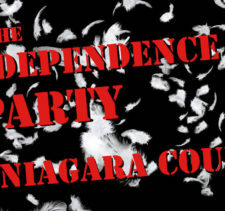 Former State Senator George Maziarz says he’s sitting on a motherlode of damning information about his former friends and colleagues that threatens to burn down the Niagara County Republican Party he spent 30+ years building. 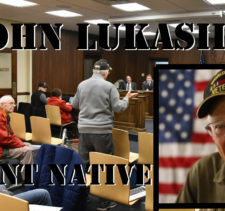 This bombshell information surfaced during his own trial for inappropriate use of the Maziarz political treasury and includes unsavory pushed-through deals at the county level — and much more — involving the political figures he helped create: attorney Henry Wojtaszek, recent Niagara County GOP chairman Scott Kiedrowski, Assemblyman Mike Norris as well as other widely-known political figures. They were all ready to testify against Maziarz before he accepted an elections-law misdemeanor plea deal that Maziarz said was a case of over-trusting his accounting staff illegally spending campaign contributions for personal gain. Meanwhile, during the lead-up to his trial, FBI interviews and memos were provided to the Maziarz legal team. “It was stunning what they had on some people,” Maziarz said, adding it was equally “stunning” those parties were not charged as he was. While talk of a Maziarz political comeback continues to swirl and percolate throughout the county, one thing is much more certain. Maziarz is out for revenge. “What they did was 10 times worse,” Maziarz said during a series of sit-down interviews with the intent to publicize their misdeeds — driven by greed and lavish lifestyles — of his former close friends and proteges. Maziarz says almost $100,000 a year was spent on VIP boxes at Sabres and Bills games mainly for the benefit of “friends and family” of Niagara County’s Republican political elite. During nearly two hours of a mostly unprompted re-counting and explanation of what Maziarz learned of his “friends” during the trial, the retired politician often took long pauses before mentioning the names of those who turned Judas against him. It’s clear Maziarz feels betrayed and is “bitter” — his words — about how his former friends and associates turned against him, stole money from his campaign and triggered the investigation that brought him down. Despite his even tones, Maziarz is clearly aggrieved and seething with anger. Why else would he want to destroy the house he almost singlehandedly designed and built? 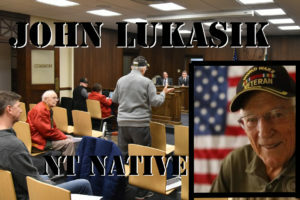 Maziarz says he wants to call a press conference on the steps of the county courthouse in Lockport to highlight the revelations about Wojtaszek, Kiedrowski and Norris — who’s running for re-election in the fall and faces Democratic challenger Joe DiPasquale of Lockport — among many others who occupy prominent spots in the Niagara County Republican hierarchy. When that happens is up to him — and specifics about his claims should come from the man himself — but others reportedly have some of this information as well and are ready to unleash it. 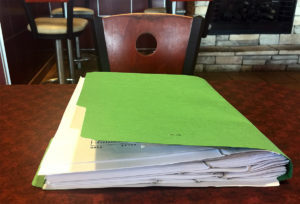 PHOTO CAPTION (above): George Maziarz’s file folder containing copies of the FBI documents detailing his claims against former friends and colleagues in the Niagara County Republican Party. Ok George….whats holding you back? Set a date and time for this press conference already! What an interesting article. Looking forward to more information as the situation progresses. Come on George let it rip! We all need to know-drain this swamp! George Maziarz, we the people deserve to know so set it up!